DUII - Misdemeanor or Felony? In the State of Oregon, Driving Under the Influence of Intoxicants (DUII) is either a Class A misdemeanor or a Class C Felony. Misdemeanor DUII is punishable by a maximum sentence of one year in jail and a fine of $6,250. Felony DUII is punishable by a maximum sentence of five years in prison and a fine of $125,000. In Oregon, DUII is a misdemeanor crime unless you have three or more prior DUII convictions in the past 10 years. If convicted of misdemeanor DUII, your Oregon driving privileges will be suspended for one year, three years, or revoked for life, depending on your driving record. If convicted of felony DUII, your driving privileges will be revoked for life. In addition to the charge of DUII, many face additional charges arising out of the same incident. Reckless Driving, Recklessly Endangering Another Person, Criminal Mischief, and other charges often accompany a DUII charge, and heighten the risk you are facing. Violations such as Careless Driving, Violation of the Basic Rule, Failure to Obey a Traffic Control Device, Failure to Drive Within Lane, and other violations are punishable by a fine only and very rarely a license suspension. A person can be charged and convicted of DUII based on one of two theories: (1) driving with a .08 or greater blood alcohol concentration (BAC); or (2) driving while “under the influence” of alcohol and/or drugs. 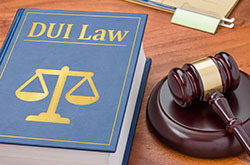 For a DUII conviction, the State must prove that (1) on a certain day, (2) in a certain county, (3) in Oregon, (4) you, (5) were driving, (6) a vehicle, (7) upon a highway or premises open to the public, (8) while under the influence of intoxicants. Although DUII most commonly involves the consumption of alcohol, you can be convicted of DUII by driving under the influence of controlled substances, or DUII-CS. Driving while under the influence of marijuana, cocaine, methamphetamine, inhalants, certain prescription medications, and other controlled substances carries the same penalty as driving under the influence of alcohol. District Attorneys typically recommend jail upon a first DUII conviction. 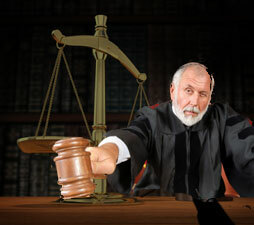 The law requires a judge to impose a minimum of 48 hours jail or 80 hours of community service, and to suspend your Oregon driving privileges for 1 year. Second and third convictions will receive substantially more severe sentences.